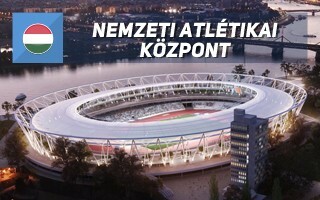 Plans of a national athletics stadium in Budapest are nothing new. 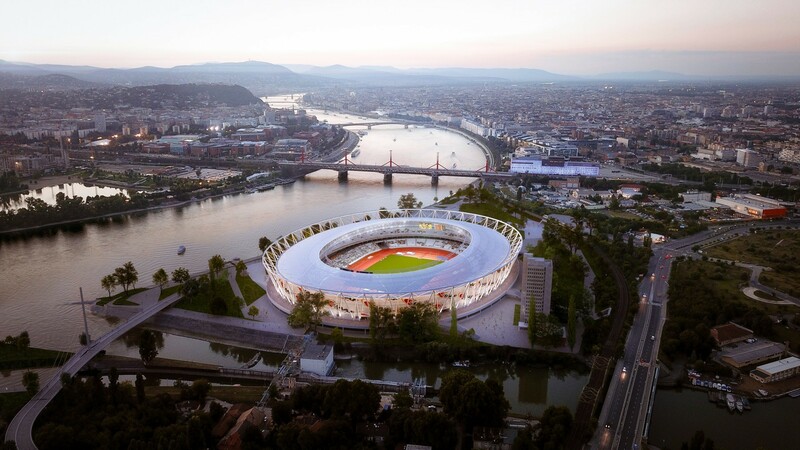 When the Hungarian capital was competing for the 2024 Olympics a couple of years ago, a 50,000-seater was proposed along the Jenő Kvassay street in south Budapest, almost at the Danube waterfront. 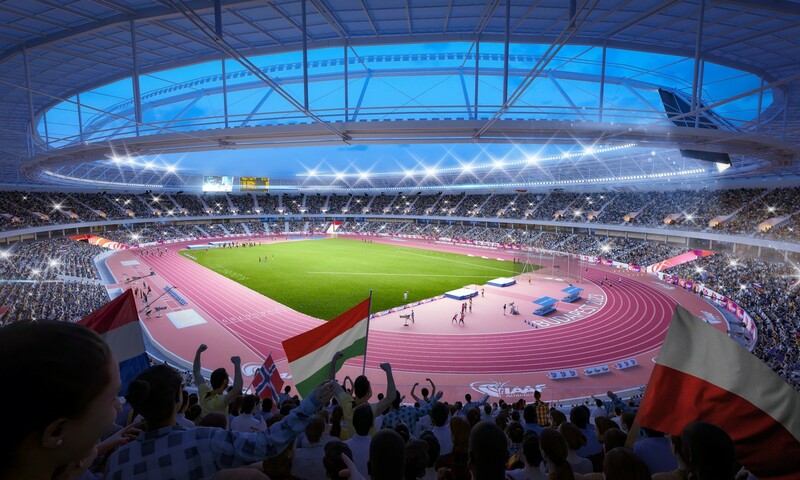 Hungary eventually withdrew their Olympic bid in early 2017 amid public pressure, but plans for the stadium weren't entirely scrapped due to another bid: for the 2023 World Championship in Athletics. 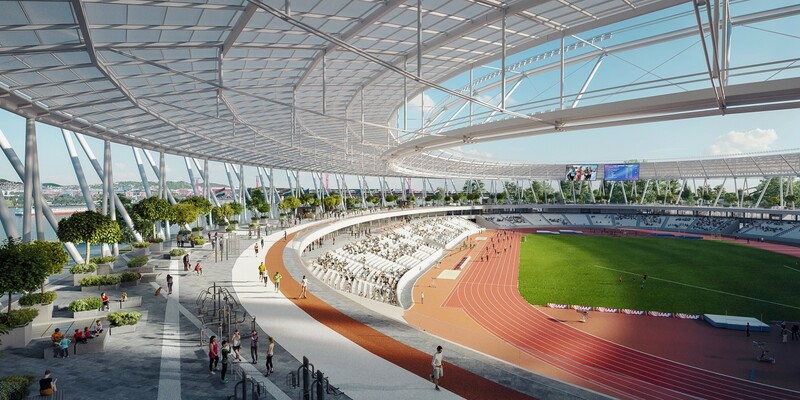 After Budapest withdrew from staging the Olympics in 2017, there was a competition to design a new national stadium with a running track on the very same site as proposed for the Olympics. For the the World Championship it was to hold 55,000 people and later be scalable down to 15,000. The vision by Napur Architect won but was later somewhat modified. Protected from rain but airy and sunny, the plateau would offer a training running track around the stands, a feature we really enjoyed in the first iteration of Ferenc Puskas' new stadium from 2014, eventually dropped for economic reasons. Let's hope it won't happen in this case, but at the time of writing this we don't actually know how much the new stadium would cost. It's estimated that staging the 2023 tournament will cost HUF 31.5 billion (€96 million) without the stadium. Early estimates put its cost at 100 billion (€310 million) which is really steep for a venue turning into 15,000 seats in legacy mode. Of course this includes surrounding precinct and building on wetland but still might cause concern similar to that during Olympic bidding among some taxpayers. They, after all, will foot the bill in the end.